Dealer Omar Abu-Eid adjusts a stack of chips before the first day of the World Series of Poker's main event in Las Vegas last July. Humans still reign in most versions of poker. Whew. Researchers have developed a computer program they say can beat any human on the planet at a particular variant of Texas Hold'em poker. The scientists aren't planning to clean up with their powerful poker bot. Instead, they hope it can help computers become better decision-makers in the face of uncertainty. The work is published Thursday in the journal Science. Poker players know the game is a mixture of luck, statistics and psychology. You need to know your odds and know whether your opponent is bluffing. In the words of Kenny Rogers, "You've got to know when to hold 'em, know when to fold 'em." The variety of strategies one can use to play poker is truly immense, according to Michael Bowling, a computer scientist at the University of Alberta in Canada who invented the new program. "There are ... 10 trillion different decision points in the game," Bowling says. "So the actual number of ways of playing is an astronomically large number." But in the case of Heads-up Limit Texas Hold'em (a variant in which there are only two players and the betting is capped) one of these trillions of strategies can beat all the others. 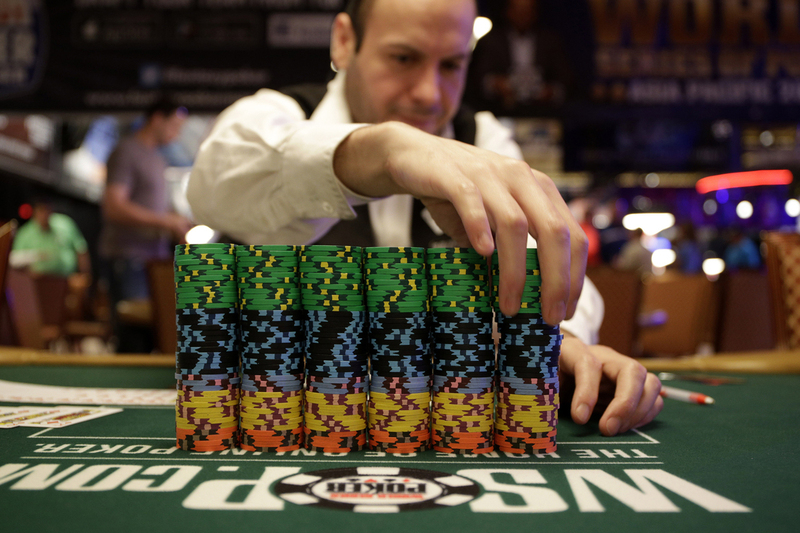 The strategy confirms several long-held beliefs among poker players. For example, the program will always raise the stakes if it has a reasonable hand and is the first to bet. But the computer program also showed some surprises. It often bets even when it holds a pair of low-ranked cards like fours and threes, according to Bowling. Many professional players would fold, or at least call, with such a weak hand. Bowling says the program isn't much of a threat to online gamblers. Heads-up Limit Hold'em is not the variety of poker most people play. But he does believe that "poker bots" are trying to win in online game rooms. "My guess is there are probably quite strong poker bots out there," he says. "But you're not going to hear a lot of talk about them." He hopes the program he's developed can help make computers generally better at making decisions, when faced with uncertainty. Oren Etzioni, the head of Seattle's Allen Institute for Artificial Intelligence, says the new program is breakthrough. Etzioni notes that computers now have beaten humans at chess, checkers, backgammon and even Jeopardy! But he says humans still have an edge: Each game-winning computer involves "very, very different computer software," he says. In other words, they're highly specialized tricks for winning at particular games. "The human," Etzioni says, "is still eons ahead of these computer programs in general intelligence."